Each week, members of the Place to Be Nation staff come together to watch a professional wrestling show from the past as a group. As they watch and interact, they also track their grades and overall thoughts in various categories along the way. We will regularly be bringing you their output here in a variety of projects and entries. 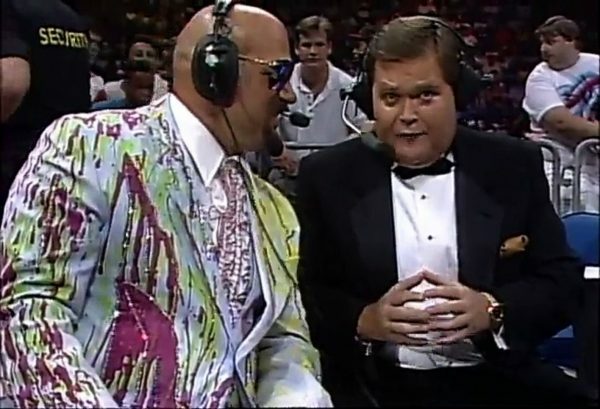 Neil Trama: Sting/Vader being pretty much everything it was cracked up to be and Jim Ross & Jesse Ventura did a great job selling everything on commentary. Steve Austin was also an under-the-radar MVP. Neil Trama: The tournament was a preposterous overblown backdrop to the World Title match, effectively killing the crowd. It was almost as if they were watching a tournament where they didn’t care about the stakes. Oh wait. And then they booked a HEEL WIN!?! Tim Slomka: Last two matches ending with heels winning dominantly, I can’t think of another PPV to end that way. The double feature during the Dustin Rhodes closeline and pinfall. Terrible matches from Steve Williams & Terry Gordy that just killed the crowd, which listening on headphones actually were a good Georgia crowd besides those matches. Not having the Steiners being involved in the tournament on PPV. Trent Williams: The Steiners’ t-shirts during interview. Too many long, slow, & methodical matches that were worked too much the same way. They could have cut two match times in half and put in two more non tournament matches. Terry Gordy and Steve Williams working as methodical mat experts for every match instead of showing off their power and brawling. 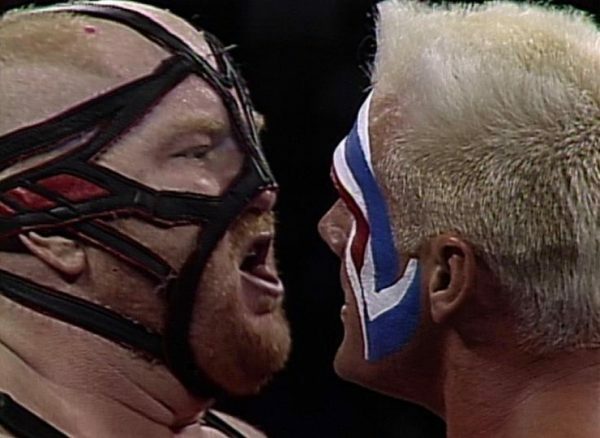 If it weren’t for Sting vs. Vader this could be an all time worst wrestling show. Steve Riddle: I like tournaments, but they could’ve cut the quarterfinals out and just done the semis and finals while balancing the rest of the card; How do you leave your hottest team in the Steiners off this show? 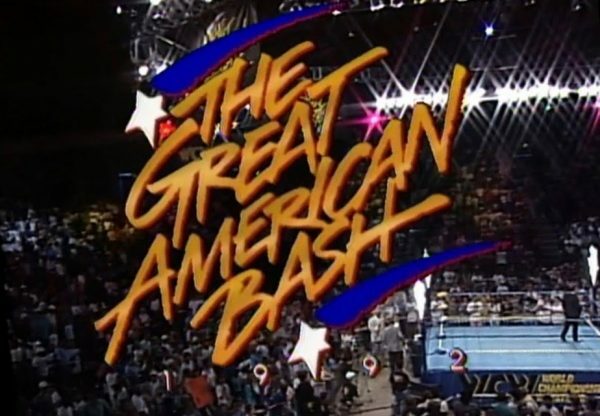 ; Never a good sign when the best match of the tournament is the first one and they get progressively worse throughout the night; I find Terry Gordy and Steve Williams slightly overrated and Dustin Rhodes and Barry Windham should’ve won in the end. Logan Crosland: This was not a good night for outfits, just absolutely terrible trunks, jackets, and t-shirts all over the place. The crowd was pretty dead and terrible all night. Terry Gordy and Steve Williams are pretty boring as a team to me. Having the Steiner Brothers on the show but not in the tourney. 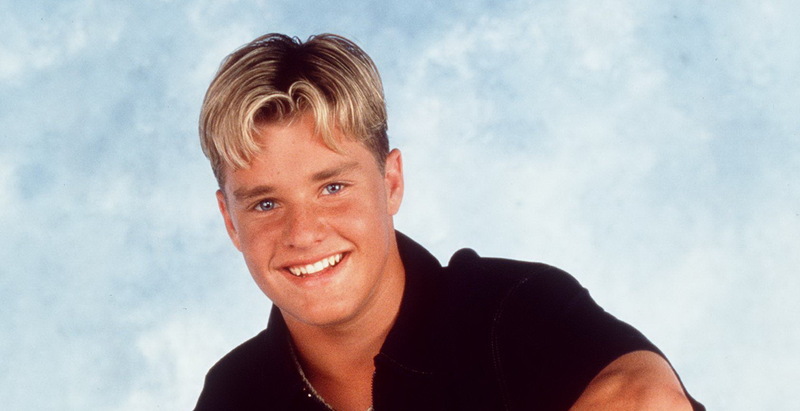 Tyler Kelley: The tag team tournament killed any variety for the show and completely burned out the crowd, so even the well-worked matches were dead. Way too much stalling in most of the tag matches, with the worst offenders being Terry Gordy and Steve Williams. I’m not familiar with their Japanese work, but they bored me to tears during this show. Closing the show with two big heel wins was also a bit questionable.